Let’s talk about crocks! No, not those cute little shoes perfect for summer wear! 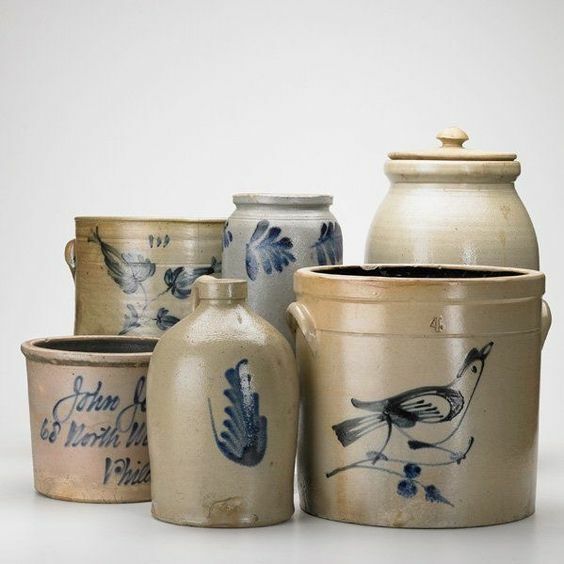 Those beautiful stoneWARE pottery pieces that were once used to hold food before the days of refrigeration. They were watertight and could hold a wide variety of items. Well, now we don’t need to hold food in them! We have a wide variety of crocks in the store, different sizes and shapes, with limitless possibilities for use in your home! These two are my favorites! I don’t use traditional end tables in my home so a large crock would be perfect in my meditation library next to my reading chair! 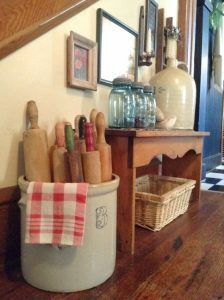 And what a great way to display your collection of antique kitchen gadgets!!! 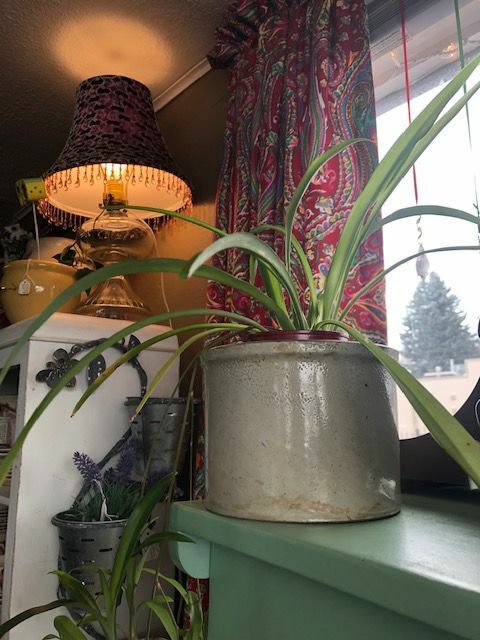 I also use a crock for a doorstop because the stoneware is heavy, so think about bookends or holding up an old bookshelf that has just a bit of a lean but you just can’t part with it! Entertaining is another great time to re-purpose your smaller crocks! 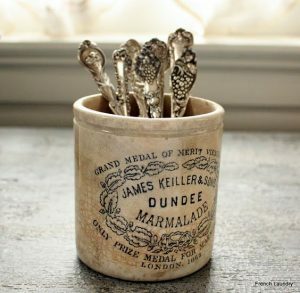 You can put your Grandmother’s flatware out in a crock if you are serving your delicious meal banquet style. We all know what Nancie uses her crocks for…planters!!! 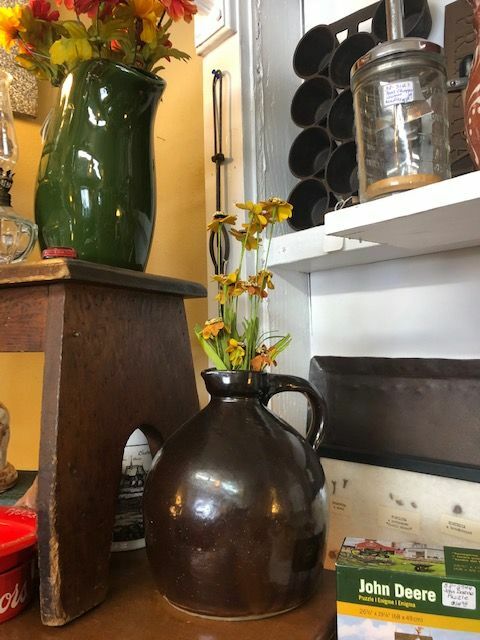 Whatever you use your crocks for, please stop in, introduce yourselves if we haven’t met, and show us pictures of what you have done! Can’t wait to see you!